Josephine Tey, The Man in the Queue. (London: Peter Davies Ltd. 1958). During the last year of her life, when she knew that she was mortally ill, she resolutely avoided all her friends. Her death was especially cruel since it occurred at a time when she was entering on a time of personal freedom. Her second last work, The Privateer (1952), was a romantic novel based on the life of the buccaneer Henry Morgan. 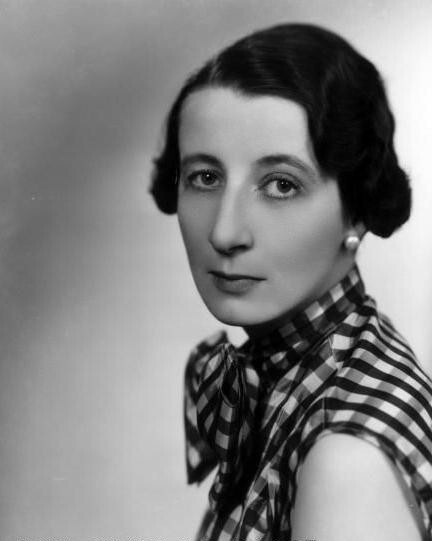 Among her other works are a number of short plays written for broadcasting, and a biography, Claverhouse (1937). Her last work, The Singing Sands was found among her papers after her death and was published posthumously. 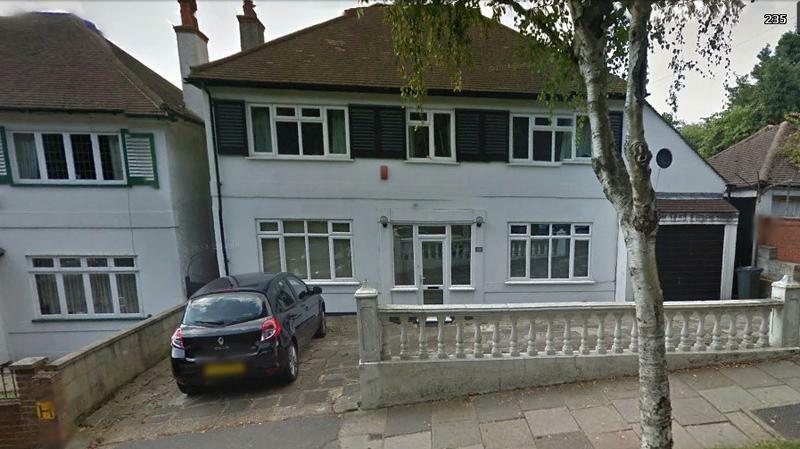 She died of cancer of the liver at her sister Mary's [Mrs. Donald L. Stokes) home, 235 Covington Way, Streatham, London, on 13 February 1952. The Times recorded her death on 14th February, 1952, two days before the state funeral of King George VI, whose life, death and majesty had filled the newspapers that week. Most of her friends were unaware that she was ill and Sir John Gielgud was shocked to read news of it in The Times during a matinee performance of Shakespeare's 'A Winter's Tale'. 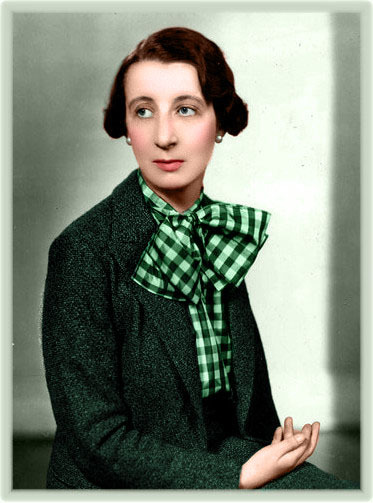 Many of her theatre friends, including Dame Edith Evans and Sir John Gielgud, attended the funeral service at Streatham Vale Crematorium on Monday, 18th February, 1952 at 11:00 a.m.
Josephine Tey left her entire estate, valued at £26,718, along with the proceeds from her writings (which has amounted to about half a million pounds) to the National Trust for England. Interestingly, the victim in A Shilling for Candles, a famous actress, left her fortune to the National Trust also. 2. Letter and 'Reader's Report' from Gordon Daviot to Marda Vanne, Gwen Ffrangcon-Davies archive. MACKINTOSH, ELIZABETH [pseuds. 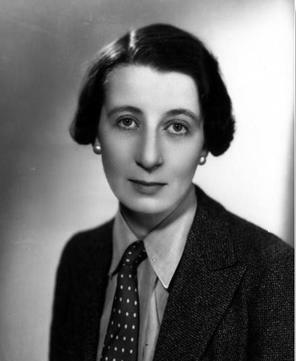 JOSEPHINE TEY, GORDON DAVIOT] (1896-1952), novelist and playwright, was born in Inverness on 25th July 1896. She had two younger sisters, Jane Ellis (known as Jean) and Mary Henrietta (known as Etta and later on as Moire). 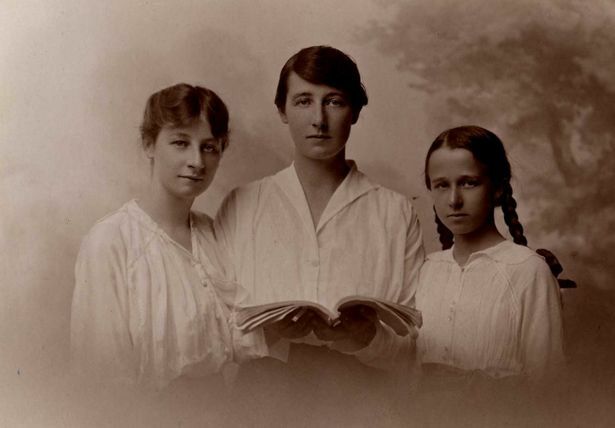 The three girls were the daughters of Colin MacKintosh (born 1862/63, Applecross, Ross & Cromarty - died 25/9/1950 Inverness), a fruiterer, and his wife, Josephine Horne Mackintosh, a former teacher (born 29th January, 1871- died 24th June, 1923, Inverness, Scotland). Josephine Tey (known as 'Beth' to her immediate family) was the pseudonym under which Miss Mackintosh published mystery novels. 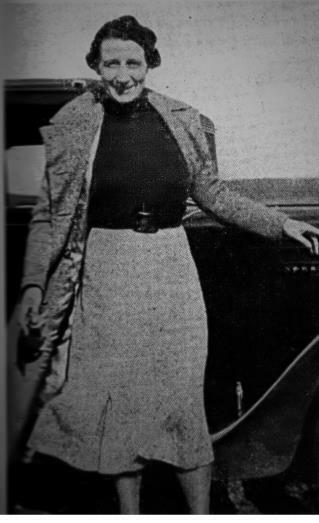 Miss Mackintosh used a second pseudonym, Gordon Daviot, for plays and also in her personal life, which she guarded jealously. For simplicity's sake Miss Mackintosh will be referred to by her pseudonym of 'Josephine Tey' on this website. Tey avoided the press, shunned photographers, and never granted interviews. 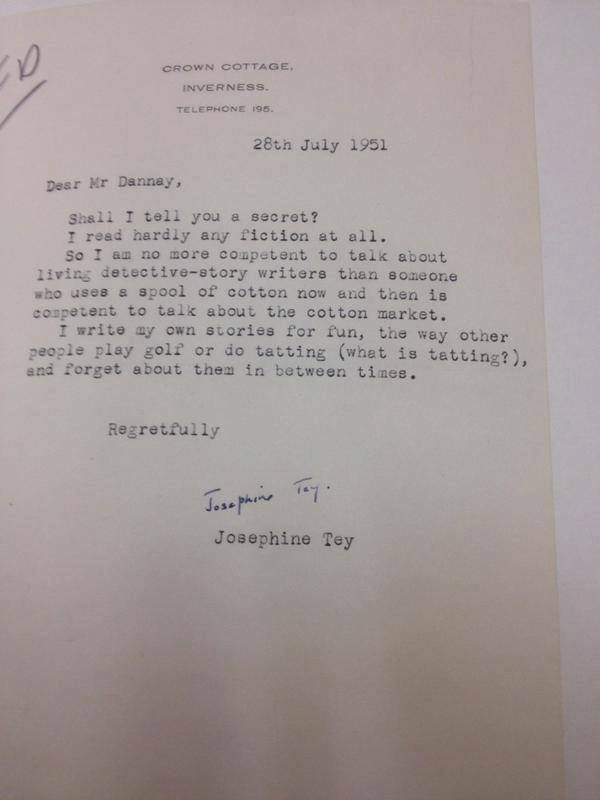 For this reason, and the fact that she kept a small circle of friends, Tey is a difficult subject for biographers. Due to the lack of information from other sources, Tey's novels are often examined for insights into her character and experiences. While her books cannot fairly be called autobiographical, glimpses of Tey can be found in them. Hunting for these is a pleasant pastime, and mystery readers familiar with the few known facts of her life can join in the fun. By all accounts,Tey was an active and happy young person who was not particularly studious but who took great pleasure in gymnastics. Known as Bessie Mack to her school friends, she would "scamper off to the cloakroom, where upon an old set of parallel bars - housed there for no apparent reason - she delighted herself and others by turning somersaults, and performing various other acrobatics in a highly expert manner." She was educated at Inverness Royal Academy, and, from 1914 to 1917, at the Anstey Physical Training College in Erdington, Birmingham. (Her 1946 thriller, Miss Pym Disposes, was set in such a college.) During the war years she taught fitness classes for factory workers, and during her school holidays in Inverness she worked as a Volunteer Aid Detachment nurse in a local convalescent home, possibly at Leys Castle Auxiliary Hospital in Inverness. She taught briefly in schools in Liverpool and in Oban where she was injured in an accident at a co-educational school when some boys allowed the boom in the gymnasium to fall on her face. She later used this incident as a murder method in her novel Miss Pym Disposes. She then went on to teach at a girls' boarding school in Eastbourne and then for a longer period in Tunbridge Wells, Kent. 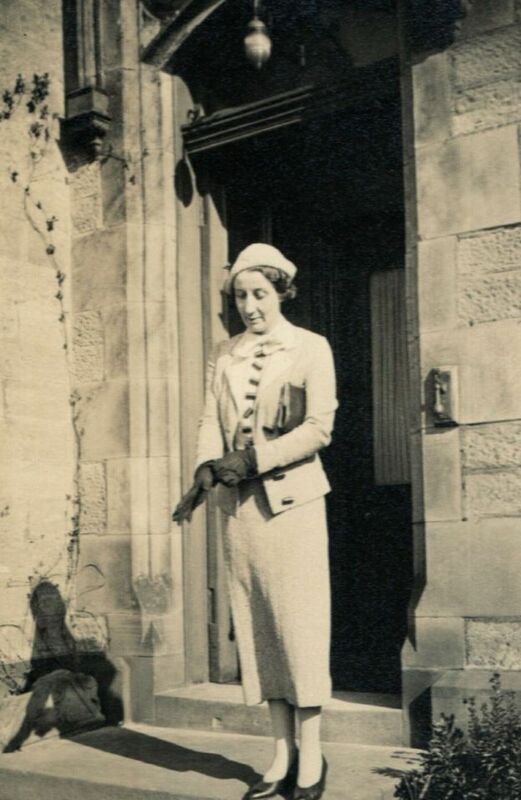 In 1923 she returned to Inverness to look after her mother, Josephine Mackintosh (nee Horne) who was suffering from cancer. Josephine Mackintosh died on the 24th June, 1923 and Josephine stayed on to keep house for her father, Colin. Colin Mackintosh died on 25th September, 1950 at the age of 86 years. 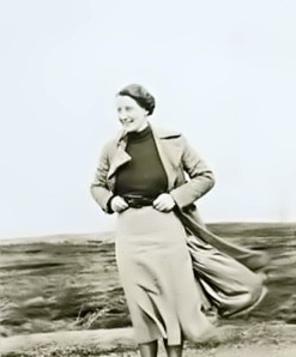 Tey started writing almost as soon as she could walk, according to a note from her literary agent, which also states that "writing was always her greatest amusement." She published short stories and poems during the late 1920s in Scottish newspapers and in the English Review. Tey's first detective novel was The Man in the Queue and was dedicated 'To Brisena, who actually wrote it'. Brisena was a nickname she gave to her typewriter, possibly inspired by the British racehorse of the same name who was racing in the 1920s. It was a highly accomplished piece of work for a beginner. Gaining second prize in the Dutton Mystery Competition (which was won by N.A. Temple-Ellis's The Inconsistent Villains), it was published in 1929 under the pseudonym of Gordon Daviot., Daviot being the name of a district just outside Inverness where her family had frequently spent their holidays. For her seven other works in this genre she took the name Josephine Tey. 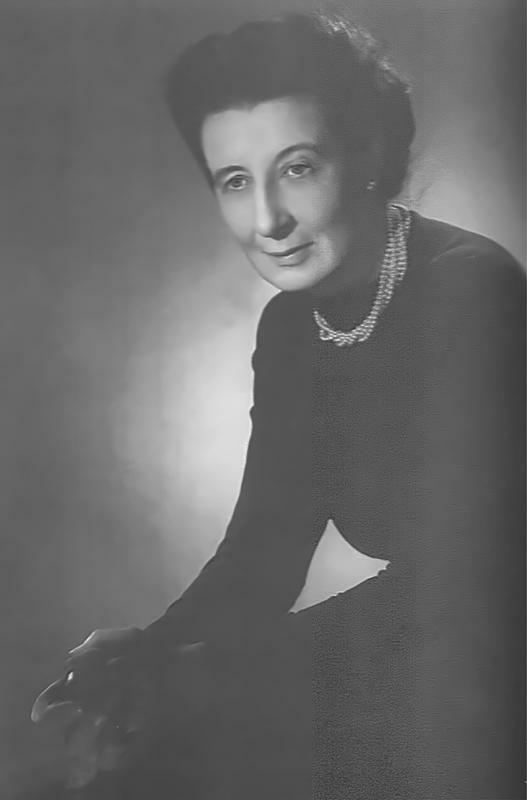 Josephine Tey, which combines her mother's name with the surname of an English grandparent from Suffolk was first used in 1937 for Tey's second mystery, A Shilling for Candles. All of her subsequent mystery novels were written as Tey. Sir John Gielgud stated that she always preferred her plays and that she referred wryly to her novels as her ‘yearly knitting’ (Gielgud, 1.x). 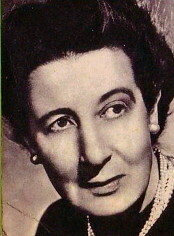 However, Gielgud may have taken her remarks too seriously for in October, 1950 in a letter to her publisher, Nico (Nicholas) Davies of the firm Peter Davies Ltd, she stated that she "got more of a kick out of seeing my Josephine Tey novels in the middle of the Times Book Club window than in seeing my name in front of the New Theatre" [where her play Richard of Bordeaux, starring Gielgud, had had its great success]. Also it is apparent from the same letter that she was careful with the details of her mystery novels, consulting the Chief Constable at Inverness about police procedure and background. She always spent a lot of time researching her plays and it would appear that she was just as thorough in her approach to her mystery novels. Her mystery novels are classics of their kind, deftly constructed with strong characterisation and a meticulous prose style. Six of them feature as their main character the slightly built, dapper Inspector Alan Grant, a gentleman police officer ‘not coarse like a bobby’ (The Man in the Queue, 118) and with independent means ‘to smooth and embroider life’ (ibid., 35). Interestingly, Inspector Grant was one of the first Scotland Yard Detectives - as opposed to the private detective or the gifted amateur - to be introduced into the mystery writing genre, making his debut in 1929. It is Grant who, in Tey's most original story, The Daughter of Time (1951), while immobilized in hospital, satisfies himself by reading and reason that the infamous Richard III of Shakespeare, school history books and folk memory, is a Tudor fabrication. Her case for the defence is notably restrained, unlike her treatment of the same subject in Dickon, a play published posthumously in 1953. The Franchise Affair (1948) a story of two women wrongly accused of and based on an eighteenth-century cause celebre, was another popular work, later to be made into two films, one in the early 195s and another in the 1980s. A Shilling for Candles (1936) became Alfred Hitchock's favourite of his English films, as Young and Innocent (1937), while Brat Farrar was made into a television mini-series in the 1980s. The Singing Sands was also adapted for television, appearing in the series 'Detective' in 1969, starring John Carson as Grant. Many of the theatre personalities who appear in Tey's mysteries are unfavourably portrayed. Among these is Edward Adrian, who appears in Miss Pym Disposes. Adrian, an ageing stage actor popularly esteemed as a "national treasure," is described as a "weary-looking creature who looks like a moulting eagle" and who likes to study himself in mirrors. His advances are spurned by Miss Lux, a medical lecturer at Lees Physical Training College who describes the theatre as an "out-moded convention" and who calls Shakespeare's Richard III a "criminal libel on a fine man, a blatant piece of political propaganda, and an extremely silly play" - a thesis that Tey argued at length in her most famous mystery, The Daughter of Time. Tey's plays, while well crafted and with shrewdly observed characters, lack the pace and tension of her mystery novels. Her first, Richard of Bordeaux, was the most successful. It shows Richard II as an idealist, charming but wilful and immature. His speeches about the futility of war, and the pro-war arguments of his associates, reflect her own bitterness about the First World War. John Gielgud, who became a lifelong friend, took the title role and persuaded her to revise it considerably before its production in London's West End in 1932. It was enthusiastically received and ran for a year. Her later plays, however, fell below this promise. The Laughing Woman (1934), about the sculptor Henri Gaudier-Brzeska, was a failure. It was followed in the same year by Queen of Scots, with Laurence Olivier as Bothwell. This was more successful, though Gielgud, who had helped her rework it, felt that she made too much of the romantic Mary Stuart and failed to show her as intriguer and harlot also. The Stars Bow Down, with its biblical theme of Joseph and his brothers, was published in 1939, though it was another ten years before it was performed, at the Malvern festival. Another biblical play, The Little Dry Thorn, based on the story of Abraham and Sarah (published posthumously in Plays in 1953), received its first public performance in Glasgow in 1946. In both her biblical plays and her historical ones Tey made a point of making her characters speak in colloquial, even slangy, modern idiom. ‘They have some of the romantic glamour of the old historical melodramas, without the pseudo-period dialogue and fustian sentiment’, said John Gielgud in his preface to the 1953 edition of her plays. She was, he said, an elusive character who shunned photographers and publicity of all kinds and who gave no interviews to the press, was deeply reserved, and was ‘proud without being arrogant, and obstinate, though not conceited’ (Gielgud, 1.ix–xii). In the preface to his memoirs Gielgud gives some insight into the sort of person Josephine Tey was. "In spite of her innate shyness, and her dislike of staying in London for more than a few days at a time," he wrote, "Gordon is the most delightful author I have ever worked with in the theatre. She seems to have complete trust in everyone who is concerned in her plays, and does not interfere at all. She seldom comes near rehearsals until just before the first night, and her patience and consideration are limitless." 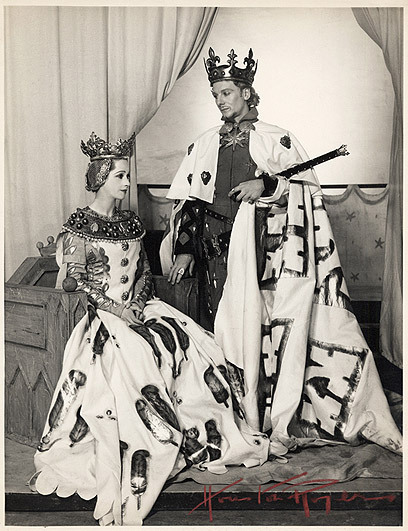 Tey attended the premiere performance at the New Theatre (later known as 'The Albery Theatre, now known as 'The Noel Coward Theatre) of Richard of Bordeaux and after the final curtain she hurried to Gielgud's dressing room to offer her congratulations. But she slipped away before other well-wishers and the press arrived. Reporters, Gielgud remembered, were anxious to interview the author and pursued her for several days. "But Gordon is a most successful person at disappearing," Gielgud wrote of her. "There is no hint of false modesty in her attitude. She is kindly and thoughtful ... but the idea of having to talk about herself to a stranger terrifies her." 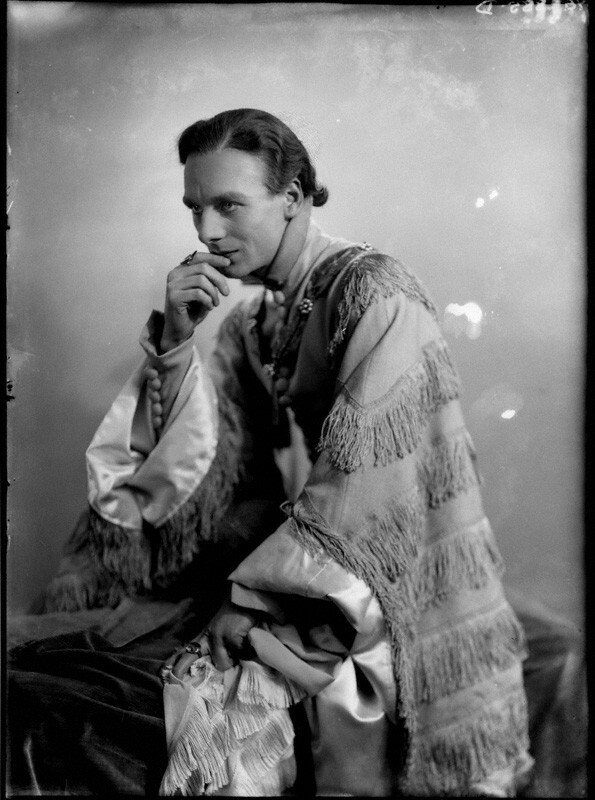 No information about any romance that Tey may have had has come to light, although Sir John Gielgud suggested that she might have suffered a bereavement in World War I. However, Tey's novels feature a series of independent women who actively avoid marriage. In the words of Virginia Morris, their attitude, and that of Inspector Alan Grant, who appears in six of Tey's mysteries, implies that: "successful people do not seek fulfillment through others - including through marriage - but through themselves." The author seems to have held similar views. Tey enjoyed fishing, horse racing, the country, and the cinema, which she preferred to the theatre. References to fishing and horse racing frequently occur in her novels. Tey loved England above all, despite her Scottish heritage. Her 1950 mystery novel Brat Farrar celebrates English country life. She drew upon her knowledge of horses and racing while writing this novel, which features a false claimant to an estate. To spare her friend any more embarrassment, Tey chose to believe Ms. Vanne's story that the diary was mainly fictional and meant for future publication, and attached a sheet of A4 with the handwritten 'Reader's Report on the M.S.S. entitled MARCH'. 'This is the diary', Tey wrote, 'kept by a woman unhappily in love, in an effort to rationalise her world, but the love affair, far from being the central theme, is merely the background and the refrain.' ... Tey continued, providing Ms. Vanne with some practical advice on how to improve her writing: 'Characters who are introduced by name only should be amplified into pencil sketches, even if it is only by the old trick of the constant epithet.' Exactly how Vanne reacted to Tey's comments is not known, but Tey's friendship with both Vanne and her partner, Gwen Ffrangon-Davies remained unaffected by the preceding remarks, undoubtedly assisted by the fact that Tey spent most of her time at her home in Inverness and was thus able to keep herself at a distance from any fall-out over the matter. Sir John Gielgud as Richard II in Richard of Bordeaux, the role which launched his career and made him a star. This letter was addressed to Frederic Dannay, the co- founder of Ellery Qeen's Mystery Magazine. At the time of writing Josephine Tey was very ill with cancer, dying only six months later.